The Supreme Court will entertain three motions filed by the Registered Trustees of Brotherhood of the Cross and Star on Jan 17, 2017. Justice Sylvester Ngwuta, who led four other justices of the court gave the date on Monday. The Supreme Court will entertain three motions filed by the Registered Trustees of Brotherhood of the Cross and Star on Jan 17, 2017. Justice Sylvester Ngwuta, who led four other justices of the court gave the date on Monday. Ngwuta said that the court was not disposed to hear any contentious motions, noting that the justices were on the verge of going on vacation. Mr Dafe Diegbe, Counsel to the Registered Trustees of the church, had filed a motion dated May 13, 2013 asking the court to strike out some of its grounds of defence. Diegbe had also sought the court to depart from its rules to enable them file written brief as well as additional evidence. The Brotherhood of the cross and star was registered in March 1964 as a religious organisation under the Land (perpetual succession) Act cap 98 Laws of the Federation of Nigeria. At the time of the registration there were four duly appointed trustees, Olumba Olumba Obu, Edet Eyoma Asuquo, Okon Ita and Mary Abiom, leaving Obu as the only serving founder member. Obu, who is also the Spiritual Head of the Church, had appointed his eldest daughter, Helen Udoh (alias Queen Mother Ibum Olumba Obu), as Secretary-General and Head of Administration of the movement. He also donated a power of attorney to her in respect of both his personal properties and those belonging to the church. Dissatisfied with Obu’s decision, Mr Roland Obu, his second son, set out to constitute another Board of Trustees for the organisation. The sister (Helen) sharply resisted the move and filed an action before the High Court of the Federal Capital Territory and obtained a restraining order against her brother from reconstituting the trustees. In spite of the pending action the Corporate Affairs Commission (CAC) went ahead to register a new Board of Trustees with Roland as one of the newly appointed trustees of the organisation. After the issuance of the new certificate the appellant approached the Federal High Court, Calabar, to challenge the issuance of a new certification of registration. Obu’s daughter lost the case in both trial and appeal courts in Calabar thereby setting the stage for further appeal in the apex court. 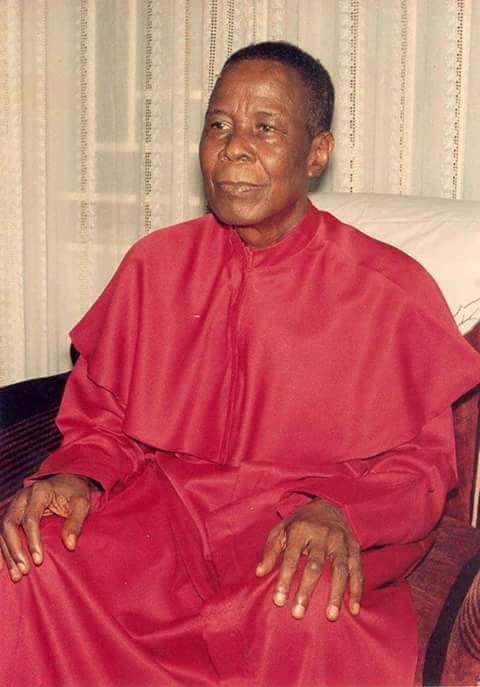 The Queen Mother Ibum Olumba Obu is seeking the setting aside of the decision of the lower courts.